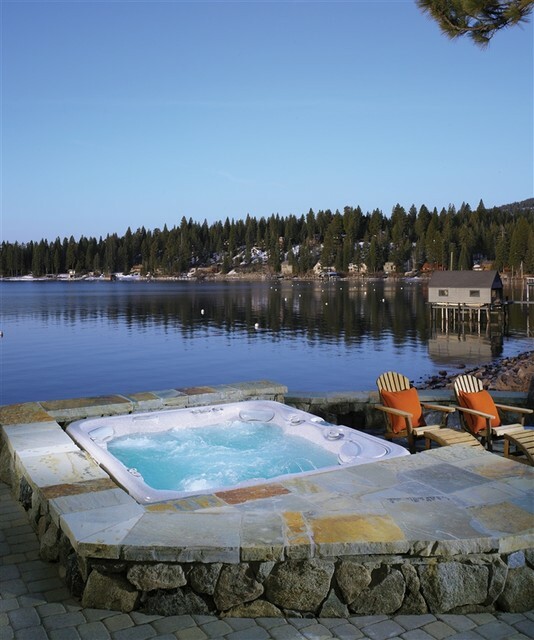 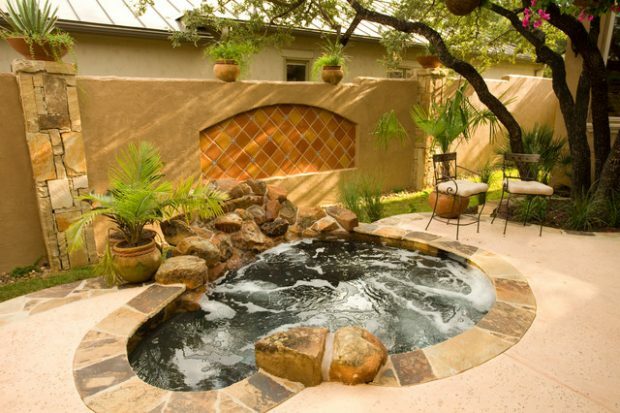 A hot tub may be organized as a part of a pond or a pool, it may be made natural-looking with the help of big stones or plants. 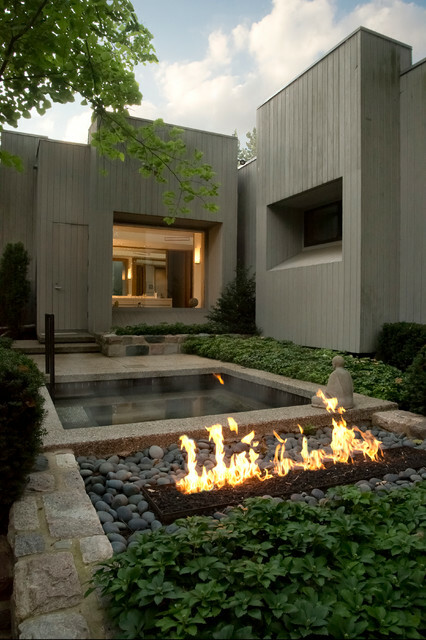 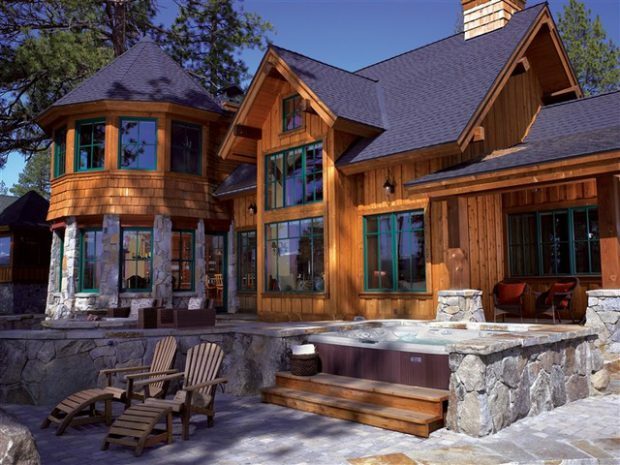 There are many various styles from rustic to ancient Greek; wood, concrete, metal and stones are the best materials. 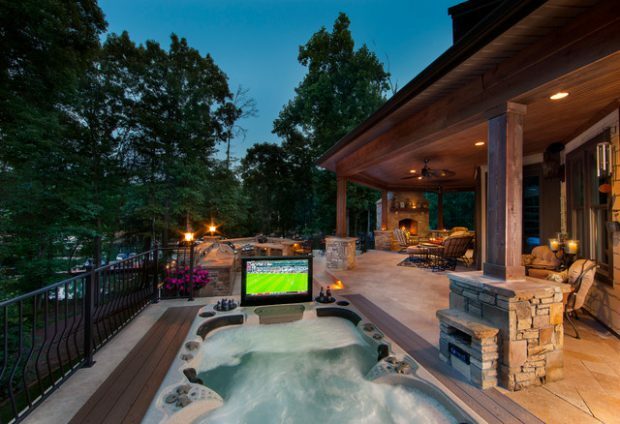 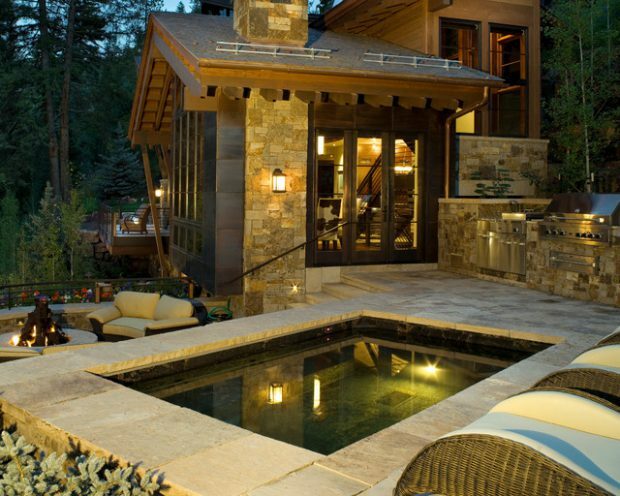 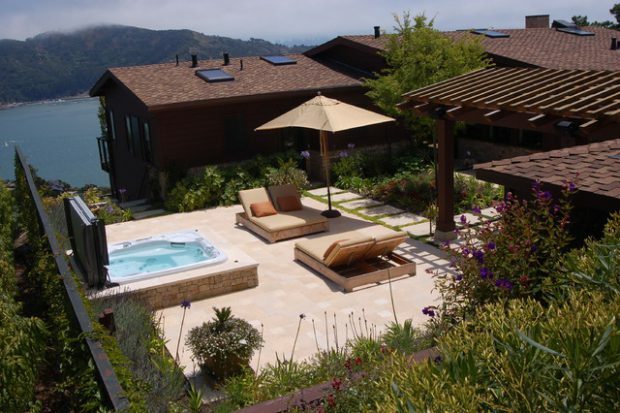 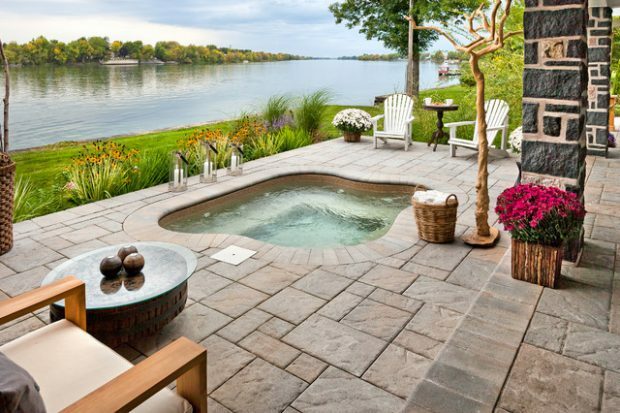 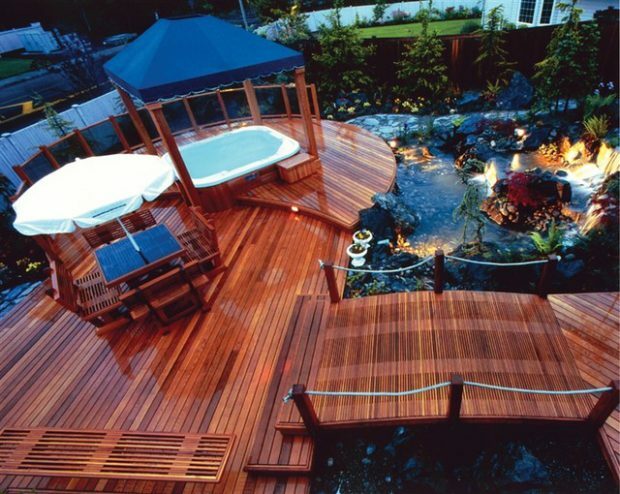 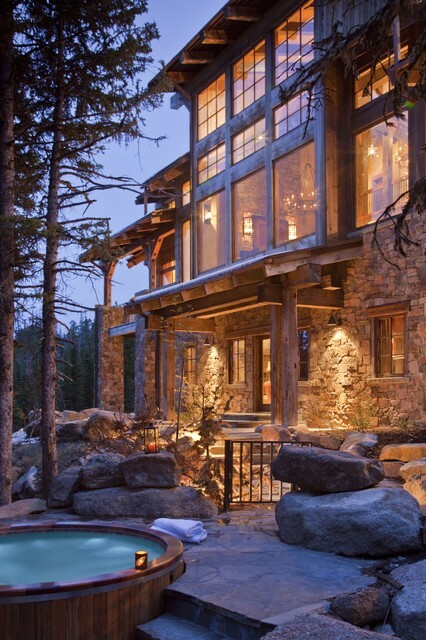 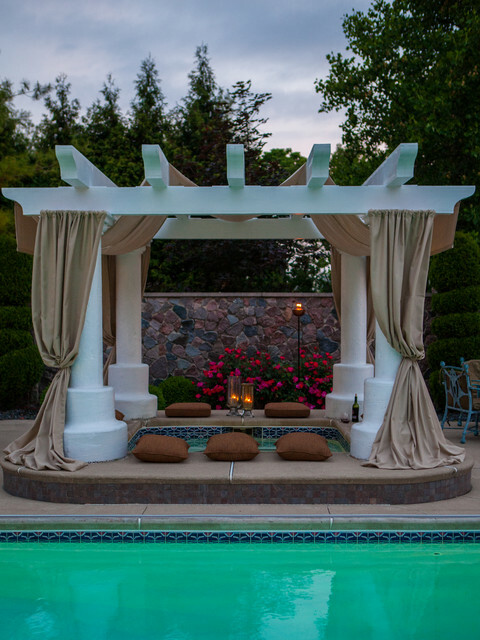 Considering installing a hot tub on your deck or patio? 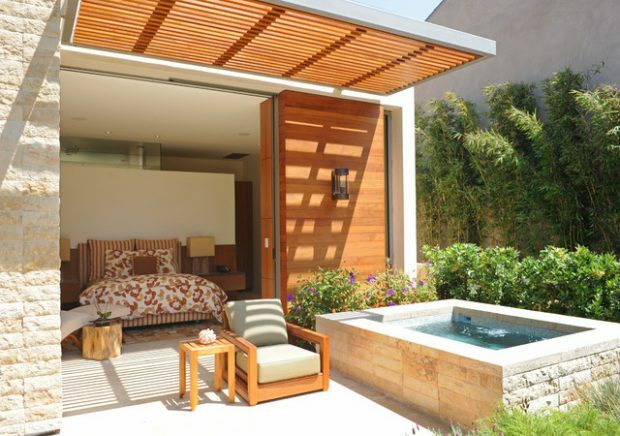 Get design ideas and inspiration from these beautiful outdoor retreats. 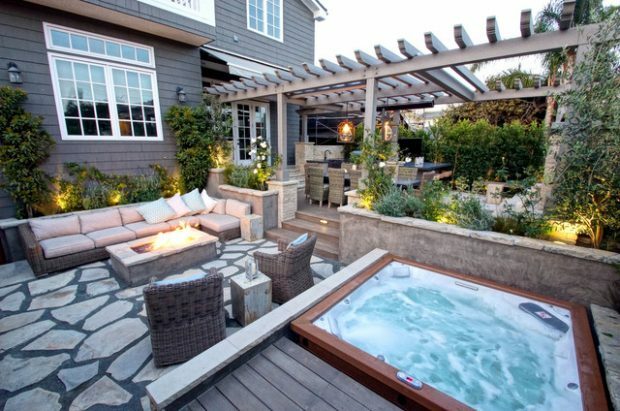 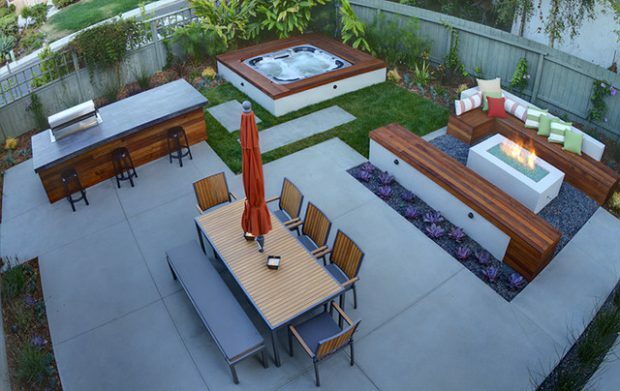 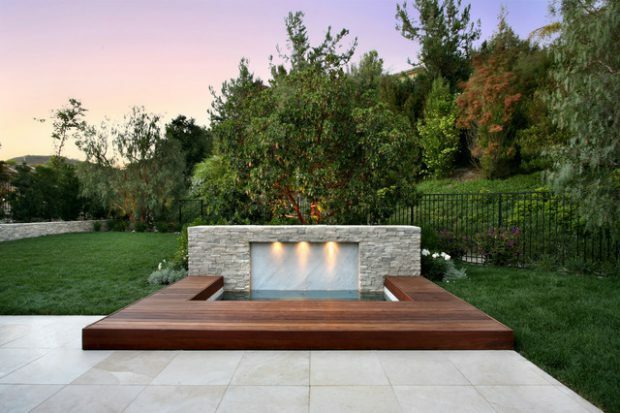 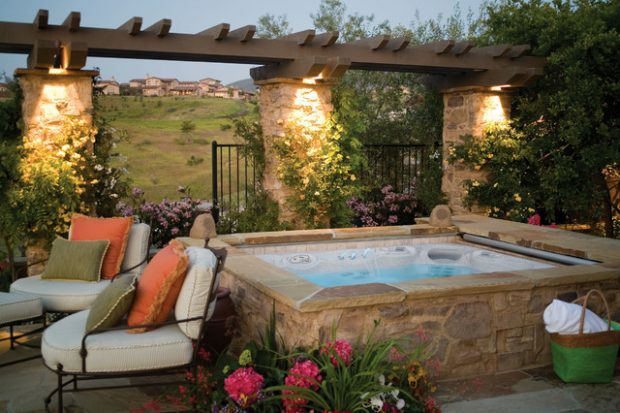 Use your tub to create a spa-like outdoor space that’s separate from your dining area.